The Washman Pro is excellent for cleaning both large and small vehicles. 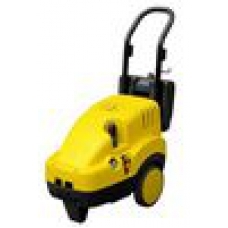 This product is especially recommended for hard work jobs such as cleaning of agriculture machines and equipment and application in the nautical market, cleaning of buildings, roofs, brickwork and concrete This highly professional cold water high-pressure washer is especially fitted with a reduction gearbox so it will slow the pump speed and reduce pump wear. Adjustable detergent regulation with built-in detergent tank and an adjustable pressure control 30 - 125 bar with pressure gauge. There is also a water flow rate of 660L/h.